Team bonding! As a former corporate warrior (in Japan! ), I know how important it is to be able to work with people of different nationalities and backgrounds. It's vital to allow colleagues to develop stronger bonds - outside the office kitchen! I love seeing how art can help people to get to know each other in a relaxed and creative environment. Art workshops can also be a feature at events. 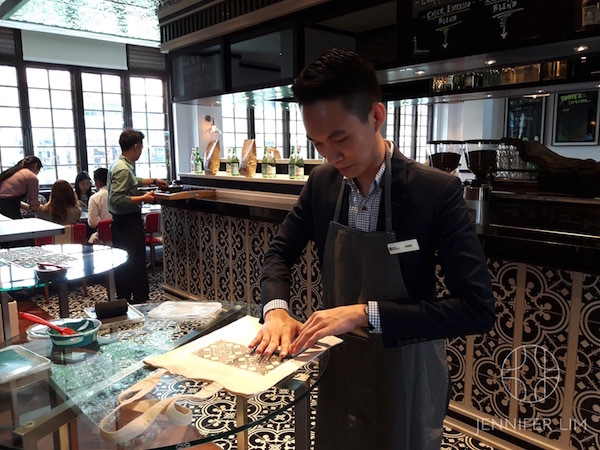 I was recently invited to host a Peranakan tile inspired printmaking session for a media launch at Hotel Indigo Katong, a new boutique hotel in Singapore. 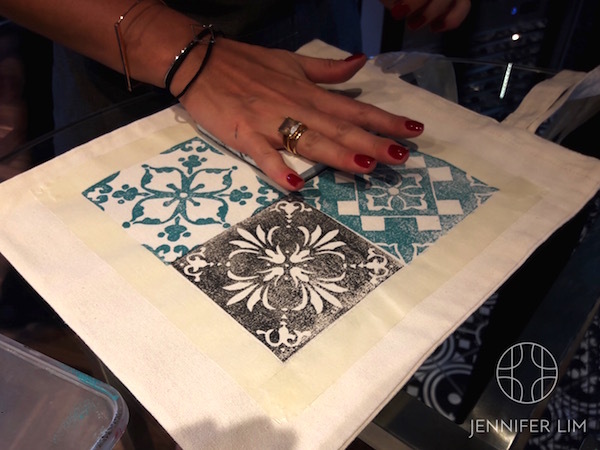 Members of the press used linocut blocks that I custom-made based on designer tiles at the hotel. As you can see from the photos, the event was a lot of fun! Contact me to learn more about my tailored art workshops for companies.